Your web copy is the key factor in determining how effective your website is. It needs to be clear and easy-to-understand, persuasive and compelling. Quite a tall order! If your web copy is not winning you business, contact us for a review and update of your copy. 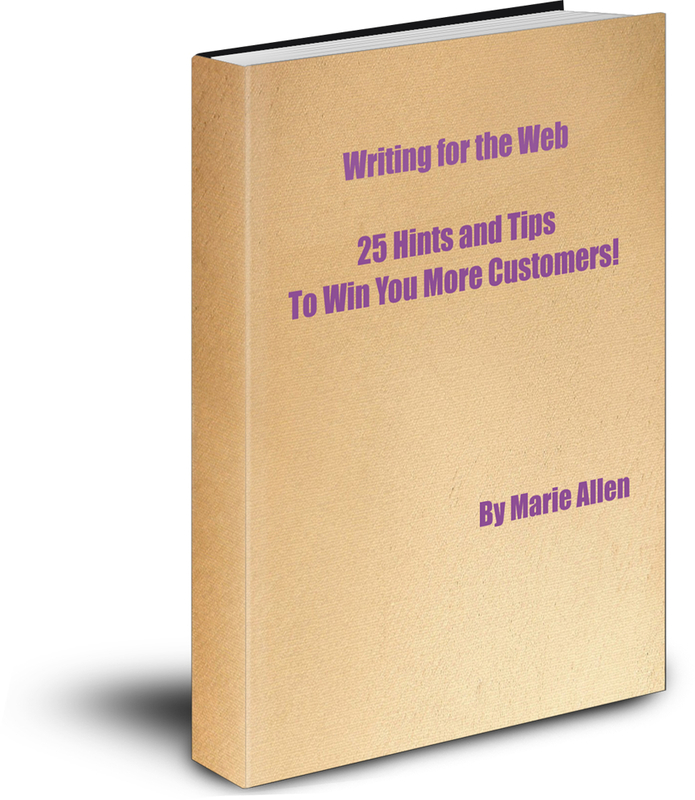 Marie Allen is a qualified, online copywriter and an expert in website user experience and web marketing. Our web copy is produced to meet Online Copywriting Best Practice and is optimised for search engines. 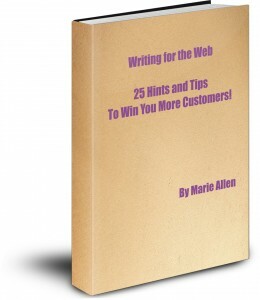 Turn your website wallflower into a thriving income-generator with my web writing guide!